Very Large Colonial On An Oversized Property With Extremely Large Rear Yard And Possibility To Sub-Divide With Property Permits... Large Kitchen, Living Room And Oversized Bedrooms And Bathrooms. All Hardwood Floors, Fireplace, Family Room, Oversized Eat-In Kitchen With Center Island And Sliders To Rear Yard. Full Unfinished Basement Awaits Your Buyers Touches. Great Potential With A Tremendous Upside Potential.... Don't Miss Out!!! Lot Size 100.4 X 121. 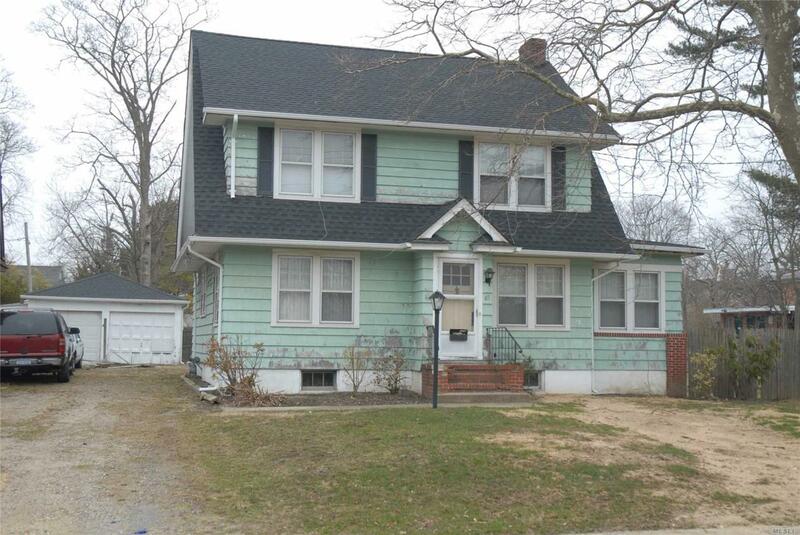 Listing courtesy of Long Island Atlantic Coast Rlt.